For the 15th year, Asian and Asian Pacific filmmakers are making their presence felt throughout Park City with a wide range of remarkable films and creative projects at the 2019 Sundance and Slamdance Film Festivals. JOIN US, the Asian Pacific Filmmakers Experience Committee, as we — artists, creators and industry insiders — come together in celebration of our experiences and resources as we recognize our amazing talents who tell our stories and create compelling media projects that shift the landscape, change hearts and minds, and announce our presence. There will be multiple events to attend from Jan 25 -Jan 30. Learn more about how you can be part of the experience and RSVP here. See below for the schedule! Join us as we kick off our weekend celebrating our 15th year of recognizing and honoring our Asian Pacific filmmakers and artists at Sundance and Slamdance. Come meet your fellow filmmakers and creatives as we kick off a week of events. Last year, we had #ASIANAUGUST which quickly became #ASIAN2018, and now we look forward to #ASIAN2019 and beyond. As ethnic, gender, and power dynamics become redefined throughout American culture and society at large, independent film faces similar challenges in finding its way forward. Join this forward-looking conversation with leading industry thinkers to consider and construct a more just and equitable future. Join Visual Communications, Kollaboration, CAPE (Coalition of Asian Pacifics in Entertainment), Boston Asian American Film Festival, Pacific Arts Movement, Toronto Reel Asian International Film Festival, Asians in Hollywood, Center for Asian American Media, Asian American Documentary Network, and David Magdael & Associates at the Kickstarter Lodge as we toast all our Sundance/Slamdance filmmakers. 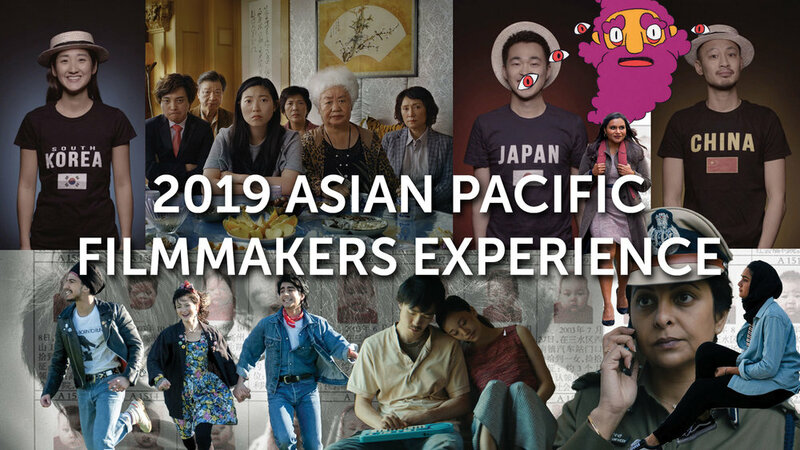 We will recognize our pioneering Asian Pacific creators, artists, and leaders who are making a difference in media by premiering their projects this year at Park City. History may record 2018 as the year Asian American and Asian talent went mainstream in Hollywood. The outsized success of CRAZY RICH ASIANS has opened doors like never before — not just for Asian actors, but for Asian directors, producers, and other offscreen talent. Producer Janet Yang, who helped usher in this era with THE JOY LUCK CLUB, will host a conversation that explores the profound change in landscape and what it portends for Asians in independent and studio films.